Emigdio studied many of the Dutch Masters. Willem Kalf was one of these from the 1600's who painted precious objects like silver and gold vessels, Turkish carpets, and fine ceramic bowls. 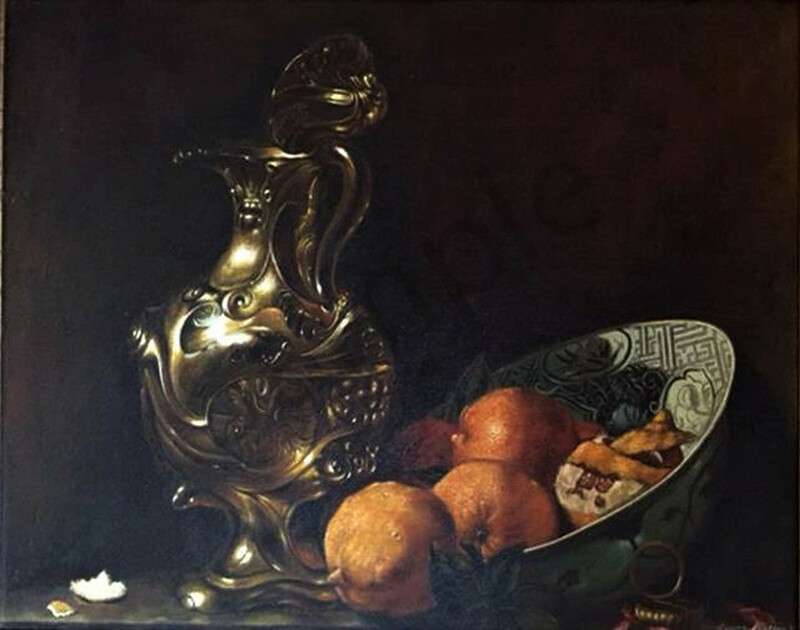 Emigdio painted an interpretation of a Kalf work titled "Still Life with Silver Jug".